Preparation For My New Adventure! This is my wife’s new video. Check it out! The 10 Dollar South Florida Event! 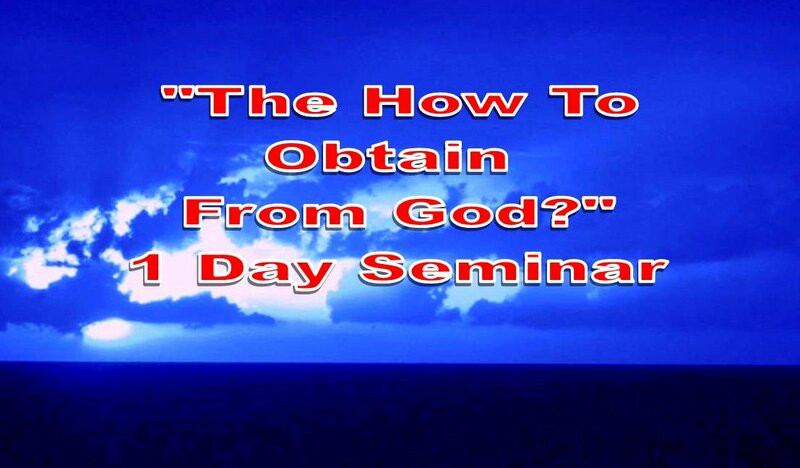 The How To Obtain From God 1 Day Seminar! The Christian life is one depositing from God’s heavenly vaults into our spiritual bank account so we can obtain here and now. • This one day seminar will teach you how to obtain what God has for you. • Everything you need to obtain from God is hidden in Christ who is hidden in you in a mystery form. • The uncovering of a mystery containing something you need to obtain from God. C. What are patterns or blueprints? • As God uncovers a mystery He creates a spiritual pattern, schematic, or blueprint outlining the steps you need to take in order to obtain from Him. • The place where these revealed schematics, patterns or blueprints are transcribed to. E. What is counting, numbering or accrediting? Rom 4:5 But to him not working, but believing on Him justifying the ungodly, his faith is counted for righteousness. • From your imaginations these patterns are counted or accredited by the process of faith by a heart which continually believes. • The church does not understand what true believing. G. What is Faith? 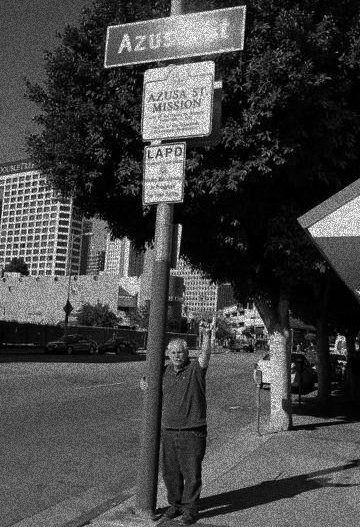 Faith is a law! Rom 3:27 Then where is the boasting? It is excluded. Through what law? Of works? No, but through the law of faith. H. Moses and Bezaleel are our Biblical model for obtaining from God. I. Wisdom is the uncovering of a mystery containing something you need to obtain from God. Prudence: Takes the wisdom of God revealed as a spiritual pattern in our imagination and executes it step by step, and making it into a reality. Exo 40:34 And the cloud covered the tabernacle of the congregation, and the glory of Jehovah filled the tabernacle. • Most of the church fails at this stage! K. Working out and thoroughly accomplishing! Eph 6:13 Because of this, take up the whole armor of God, that you may be able to withstand in the evil day, and having accomplished all things, to stand. • Most of the church does not do this and it fails to obtain. 13458 SW 118 Pl., Miami FL 33186. •You can bring cash or please make your check payable to Emerging, Inc.
What Is One Of My Favorite Words? Charizomai is one of my favorite Bible words. It describes benevolence, and something freely given. It’s extravagant, lavish, generous, and abundant giving, without strings attached. The giver gives more and more and more. It’s interesting to see, that the forgiving of sins is on that list. God has extravagantly and abundantly forgiven us and so must we of others. The healing of diseases is also on this list. God has abundantly and lavishly and generously healed our diseases. Our faith must arise to God’s level of healing. Enjoy this one of my favorite word as you read the scriptures. Lu 7:21 And in that same hour he cured many of their infirmities and plagues, and of evil spirits; and unto many that were blind he gave (charizomai) sight. Lu 7:42 And when they had nothing to pay, he frankly forgave (charizomai) them both. Tell me therefore, which of them will love him most? Lu 7:43 Simon answered and said, I suppose that he, to whom he forgave (charizomai) most. And he said unto him, Thou hast rightly judged. Ac 27:24 Saying, Fear not, Paul; thou must be brought before Caesar: and, lo, God hath given (charizomai) thee all them that sail with thee. Ro 8:32 He that spared not his own Son, but delivered him up for us all, how shall he <5483> not with him also freely give (charizomai) us all things? 1Co 2:12 Now we have received, not the spirit of the world, but the spirit which is of God; that we might know the things that are freely given (charizomai) to us of God. 2Co 2:7 So that contrariwise ye ought rather to forgive (charizomai) him, and comfort him, lest perhaps such a one should be swallowed up with overmuch sorrow. Ga 3:18 For if the inheritance be of the law, it is no more of promise: but God gave (charizomai) it to Abraham by promise. Eph 4:32 And be ye kind one to another, tenderhearted, forgiving (charizomai) one another, even as God for Christ’s sake hath forgiven (charizomai) you. Col 3:13 Forbearing one another, and forgiving (charizomai) one another, if any man have a quarrel against any: even as Christ forgave (charizomai) you, so also do ye. This one of the best articles Ive ever read. Enjoy!